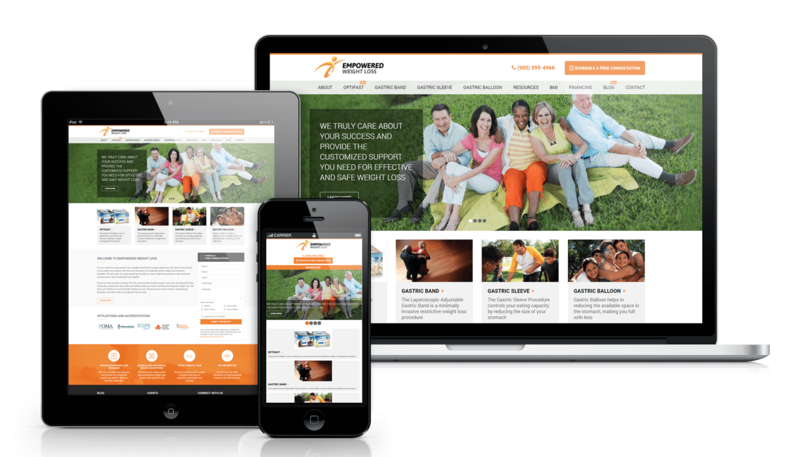 Empowered Weight Loss - Illusive Design Inc.
Illusive Design successfully built a website that incorporated weight loss clinic website features in a portfolio-style design that truly showcased Empowered Weight Loss services. 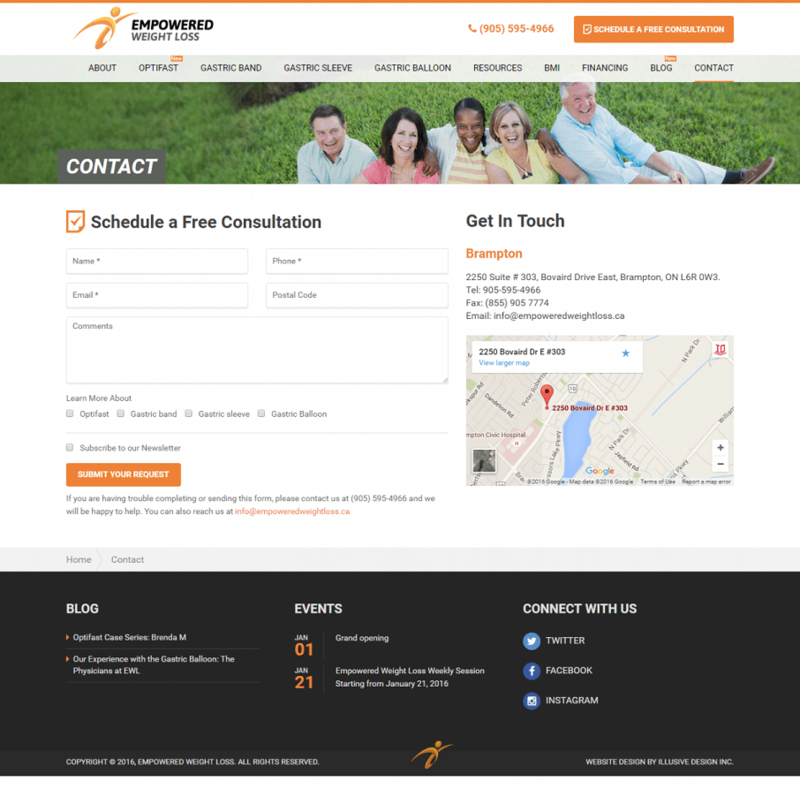 Empowered Weight Loss services can now be found through mobile devices, tablets, or laptops. This project was a custom design based on Empowered Weight Loss design preferences and requirements. A mobile responsive WordPress design enhances the user experience and works effectively on any device. This means that if someone is looking for a weight loss clinic, they will have the ability to find Empowered Weight Loss easily. 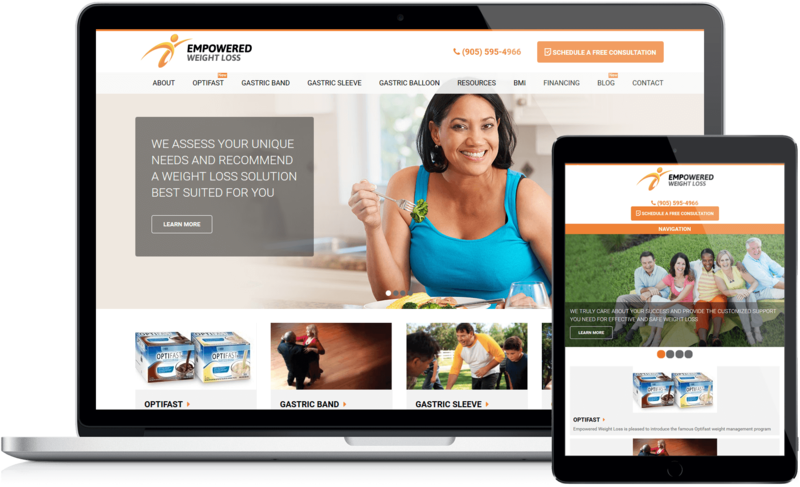 Illusive Design utilized an advanced theme-based website design from WordPress to showcase Empowered Weight Loss’ services, their value propositions, events, blog and custom consultation form. 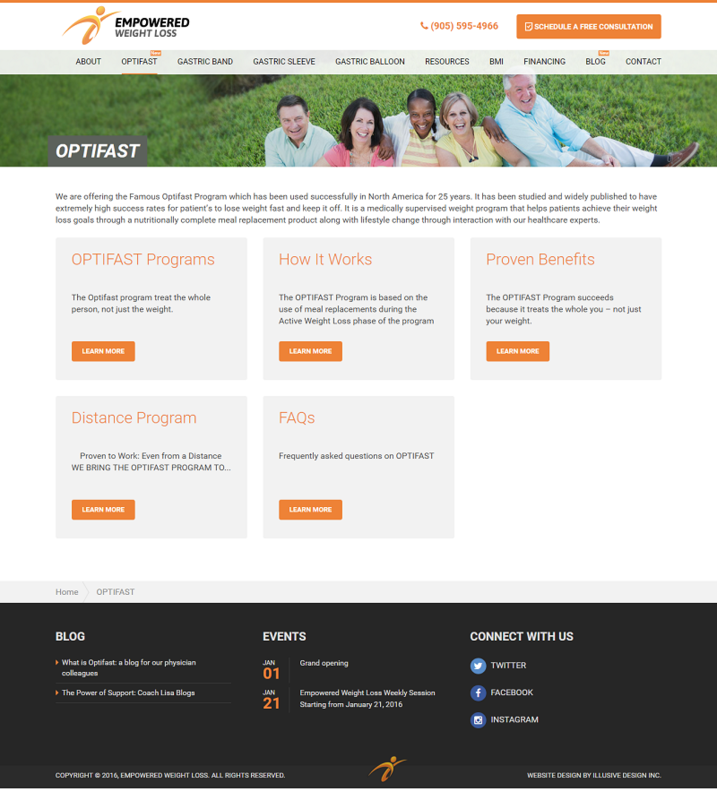 Other popular features included in this project were – a BMI Calculator, Online Referral Form and FAQs. All of the tools available on this website will entice prospect clients to stay on the website for longer which eventually can turn into new business. In the medical industry, client engagement is the primary goal. 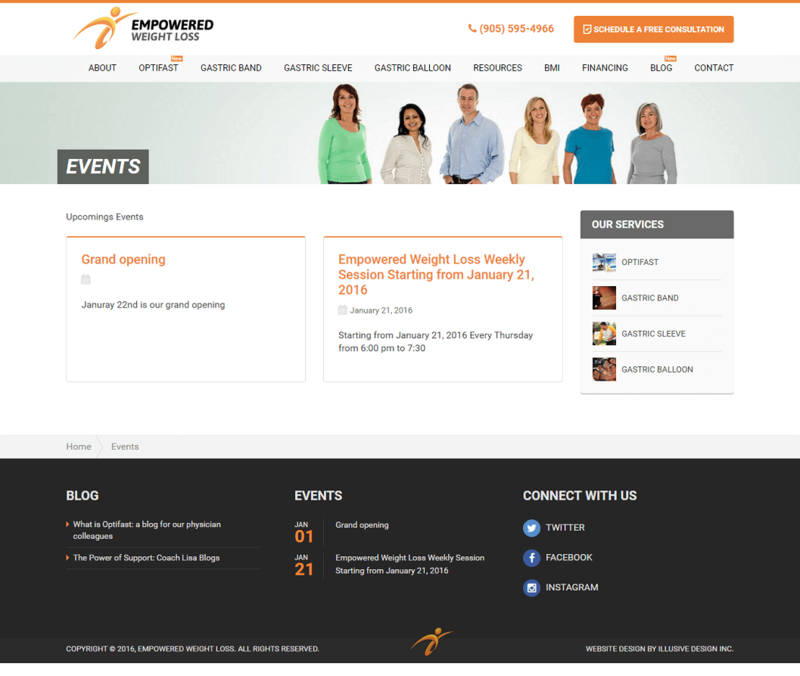 It was important for Empowered Weight Loss to integrate their social media presence on their website. 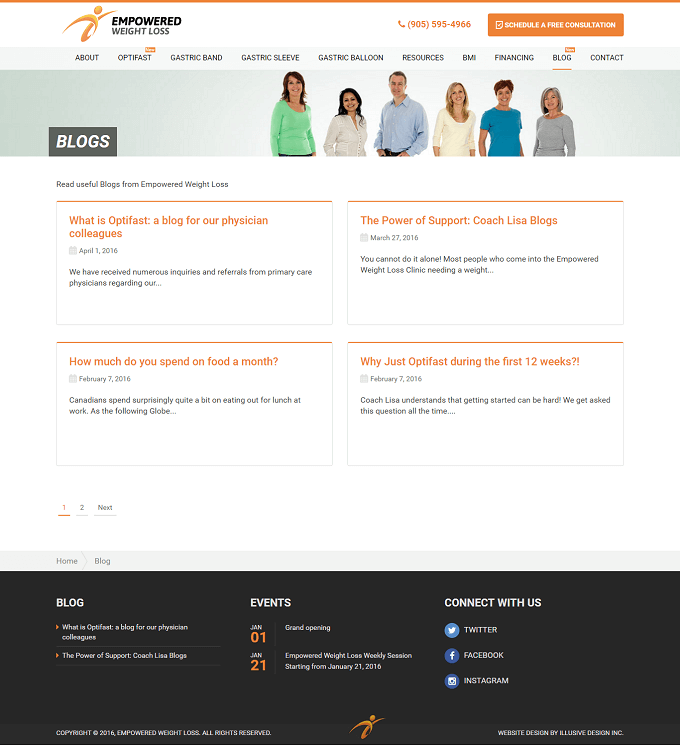 Through successful integration, alongside a unique blog and events feature, empowered weight loss can now engage their patients in real-time and have it featured on her website. In conclusion, social media integration has enhanced and publicized their services online. 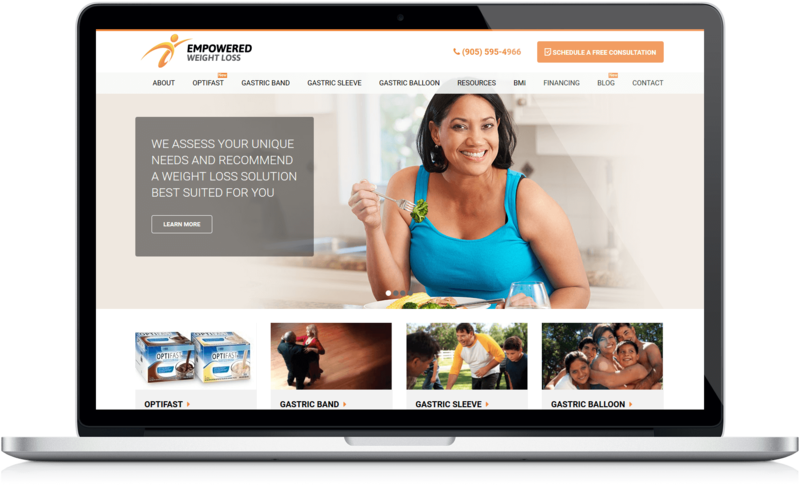 Through an effective online web presence, Empowered Weight Loss has successfully achieved two distinct goals. The WordPress custom website design has expanded our client’s reach into the market . The site helped facilitate a deeper relationship with their customer base as well as with their industry contacts as they now have a professional portfolio on hand to be viewed.